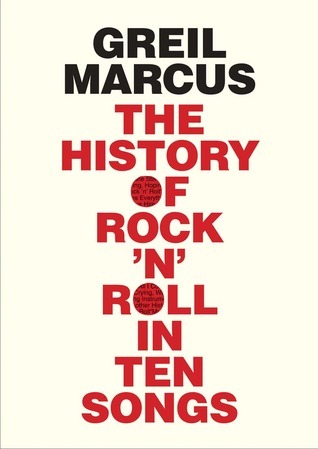 The history of Rock N’ Roll in Ten Songs, I thought I would give this book a shot not thinking you could pick ten songs. But after reading this book I got sort of what I think the author Greil Marcus, was trying to do maybe not. He starts off the book about how he decided to come up with this idea of ten songs and he takes you through his process of coming up with the book. Sitting at a diner in New York and hearing “Shake, Rattle and Roll”, by Bill Haley and the Comets not by Big Joe Turner, who also wrote it. He heard other songs but the one that got me is “Dream Lover” by Dion, not Bobby Darin, there are many other songs but you get the point. For the most part this was a very entertaining book, I liked most of the chapters especially when he went more into the history of Chess Records, and the life of Buddy Holly, and young he was 22 when died in the crash and what might have been with him and of course Ritchie Valens, who was 17 at the. I would think these both would have still been big in the music field. His pick of Etta James and Beyoncé, was an interesting choice and though younger people would will listen to Beyoncé, I will always listen to James, hear voice was something else especially though Chess years and through the 60’s. As for ten songs he picked ten and gave you a history beyond them which I thought was different. My one big complaint was it seemed that he somehow worked Bob Dylan into every chapter, at least it seemed like every chapter. Maybe he should write a book about him? Overall not a bad book a liked the history of the songs and some of the people. I got this book from net galley. 3 Stars.